LXX Translations Part II.2: BdA Continued | Septuaginta &c.
Time for part three of my series on modern language translations of the Septuagint. Thus far we have covered the NETS translation, and begun a discussion of La Bible d’Alexandrie (BdA) in an initial post, which is continued here. I am drawing out BdA’s treatment because, armed with a basic understanding of the NETS approach, we can understand both NETS and BdA better as they are set in contrast. To that end, bear in mind that the methodological contrast assumed in the quotes below is specifically directed towards NETS. In the first post we talked about the BdA methods to translate 1) “according to the Greek,” and 2) with attention to the divergences between the Hebrew and Greek. Without further ado, let’s pick up with the third and fourth translation principles of BdA. There are two ways to understand a divergence between the Hebrew and Greek versions of the OT. First, it might be that the LXX rendered a different Hebrew text (Vorlage) than what we now have in the Masoretic Text, thus his translation differs. Secondly, however, if that was not the case – if the LXX translator had the same (unpointed) Hebrew text as our MT – the divergence still could have diverged from the Hebrew due to a number of other factors. This man is clearly a textual critic. For example, divergences may be due to the translator misunderstanding the Hebrew. Or, he may have vocalised the unpointed text differently than the Masoretes eventually did. Or, it could be an exegetical “actualisation” on the part of the translator by making the Greek text more “relevant” to his audience in some way. If there are in fact actualisations in the Greek version, these divergences could be contextual or intertextual interpretations, perhaps even within the Greek version. It may also be that a divergence is caused by scribal error in Greek transmission history as well (often called “inner-Greek corruption”). Furthermore, the translator may have had many Greek words that would have worked to render his Hebrew text, but none quite synonymous with it. In sum, these and other reasons for possible “incongruities of the two biblical texts” lead BdA away from using the MT as its “phraseological and lexical foundation” as NETS tends to do (Harl 2001, 193). [We render the] meaning that a “divergency” receives in the LXX context and translate the new meaning acquired by the verse or by the whole pericope … We refuse to translate a text corrected according to the Hebrew, where a word judged aberrant would be replaced by a conjecture restoring the Hebrew meaning. (ibid., emphasis added). In short, wherever the LXX says something apparently different from the Hebrew, BdA carries on with translating the Greek anyway, without trying to make it “fit” the Hebrew somehow. This is because there are so many reasons for why the Greek translation could say something different from the Hebrew (intentionally or not) even if the translator was staring at the exact same Hebrew text as what we have in the MT. In this way, BdA does not assume at every point that the Greek is meant to represent the Hebrew, identical Vorlage or not. Because of their approach in steps 1-3, the editors of BdA “think it useful to consult the reception of the LXX by its ancient audience” (Ibid., 194). Recall here the NETS distinction between LXX “production” and “reception.” NETS cries foul at this point, countering by saying that it doesn’t really matter what later readers thought the LXX “was” or said, but how the translators themselves conceived of their translated text. Nevertheless, BdA consults early reception history precisely because those sources “show us the understanding the Greek speakers had of the LXX syntax and vocabulary” (Ibid.). Furthermore, studying early Christian commentaries on the LXX alerts us to how the peculiarities of the text contributed to the growth of Christianity, which Harl characterizes as “semantic changes owing to the ‘typological’ reading of biblical books and to the exegesis guided by faith in Jesus” (Ibid.). With reference to the French translation of the LXX, then, BdA avoids using any NT sense for words that in their understanding are not part of the LXX usage (e.g. πίστις as confiance, “trust,” rather than foi, “faith”). Nevertheless, says Harl, “[t]he Septuagint is the soil which has nurtured the Christian tradition” (Ibid., 195). In that way LXX commentaries of the Church Fathers, for instance, constitute “one among other testimonies” of early interpretation of the Hebrew Old Testament (Ibid.). As a fifth step, BdA revises their initial translation of the Greek “with a view to correcting its exceeding literalism and to incorporate the results of the text analyses” (Ibid.). While making the translation read well in French, BdA also aims to preserve the unique traits of the LXX, thus allowing unusual French word order “to let transpire the traces of the strangeness of the Hebrew text” underlying the Greek (Ibid.). 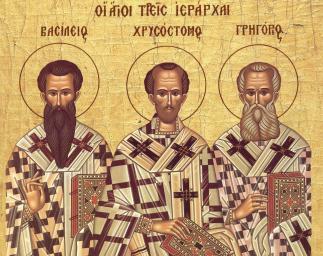 This too is motivated by the reality that the Septuagint was considered holy and even divinely inspired to both Jewish and early Christian communities, and so BdA wishes to “preserve somehow its character as a religious text,” which they do by giving the French a “noble, traditional, ancient ring” (Ibid., 197). Having overviewed the approaches of NETS and BdA (in two parts), we are halfway through the series on modern LXX translation projects. Still to come is the Septuaginta Deutsch and La Biblia Griega. Harl, Marguerite. 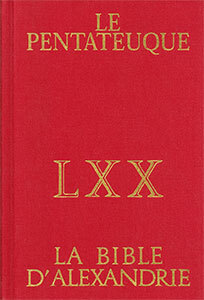 “La Bible d’Alexandrie I. The Translation Principles.” Pages 181-97 in X Congress of the International Organization for Septuagint and Cognate Studies. Edited by B. A. Taylor. Society of Biblical Literature Septuagint and Cognate Series 51. 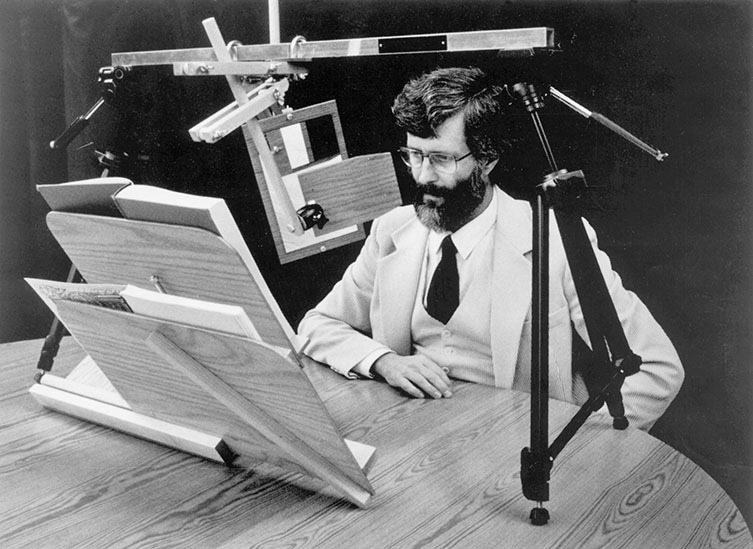 Atlanta, Ga.: Society of Biblical Literature, 2001. Great series…I’ve been a follower of your blog for a few months now and really appreciate what you are doing. Concerning this topic, I wonder how much difference there is in the final product (NETS vs BdA), after taking into account NETS’ desire to transmit the Greek’s awkwardness into English. I’ve compared a few texts recently in Deuteronomy and I do not find many semantic differences between NETS and BdA. In fact, I was surprised to find one text (Dt 24.13) where BdA translates a word in such a way (eleemosune = “actes de justice”) that doesn’t seem possible without consulting the underlying Hebrew (tsedaqah). On the other hand, we find Dr. Hiebert stating in his “The Rationale for the Society of Biblical Literature Commentary on the Septuagint” that the Greek text is to be understood as a Greek composition and that the Hebrew source is only consulted to arbitrate between established meanings in the Greek language. In other words, in the area of lexicology anyways, the Hebrew source cannot be used to create new senses and in fact should never override the target text. It would be interesting to perform a more thorough comparison of these translations (of translations!) and see how much they truly followed their stated principles. Thanks for your thoughts, Jean. I think you’re right about the inconsistencies that show up in both NETS and BdA according to their stated principles. I think this is because there are points where the methodology becomes impossible to execute flawlessly (especially with multiple scholars producing multiple parts of the work). I have not read the article by Hiebert that you mention, although I’ll have to look into it, as that statement certainly clashes with the general NETS paradigm of interlinearity, particularly the “Greek composition” part. I do think that on the level of the word, NETS often does justice to Greek per se, although even then often times they will adopt an ill-fitting translation when the word includes in its semantic range a better option, which may be driven by the desire to “bring out” the “flavor” of oddity in the Greek. If you are offering to put together some sample comparisons between BdA and NETS, I would love to have a look at them! Pingback: LXX Translations Part II.1: BdA | Septuaginta &c.